Monitoring your Google rankings can be stressful. In the course of a week, you could see them go from two to four to three and then back to two. What’s causing these fluctuations, and is this normal? First of all, yes. It’s normal to see small changes in rankings ­– especially over the course of just a couple days. It’s not normal for your rankings to drop dramatically and stay that way for several months. Let’s go into detail over why rankings for your chiropractic website fluctuate, when you should be concerned, and what to do when your rankings dip. What’s Normal Chiropractic SEO Fluctuations? If your practice ranks on the first half of the first page of Google, you probably won’t see too many drastic changes in ranking. Your chiropractic website could go from one to three to two and back to one within just a couple of weeks. However, if your website is in the bottom half of the first page or on subsequent pages, then it is not uncommon to see more drastic changes. This is where dramatic landslides and climbs should not yet be cause for concern. Don’t check your rankings every day. Short term fluctuations are normal, so it helps to compare on a longer-term scale. Check your rankings consistently, but don’t rush to judgment on short-term changes. Compare rankings with your competitors. It may not be your SEO strategy that is causing the fluctuation. It could be the keyword. By comparing rankings with your competitors, you’ll be able to see if the positions around your website are fluctuating as well. Be consistent in the way you check your rankings. If you check your rankings on your phone and then on your desktop, you might see differences. Where you are when checking the rankings can show different results as well. Using a non-personalized, non-geo-based system to track your rankings will even out these variations. Check the traffic of your web pages too. By comparing website traffic to your web pages over time, you might see that the actual number of visits hasn’t changed. If so, there is likely normal fluctuations of your rankings. What’s Not Normal Chiropractic SEO Fluctuations? So you’ve gone through all of the options above to check your rankings. And things aren’t adding up. If over the course of a few months you’ve seen a sharp drop in rankings, then there may be cause for concern. Google constantly makes small changes to its algorithm. But every now and then, they publish a major update that penalizes (or rewards) websites on wide scale. A new competitor is like a cannonball into a pool causing rippling affects in rankings down the line. A low volume keyword suddenly becoming more popular gives Google more data to determine which sites users prefer. This could cause some experimental fluctuations on Google’s part. Adding new content to your website gives Google more information to crawl and determine which pages should be ranking higher. It could be a Google update. Or it could be one of the many other reasons rankings fluctuate. Either way, how do you fix it when your Google rankings drop? Legitimate backlinks can build your trust score with Google. Spammy links can ultimately kill your search engine visibility. 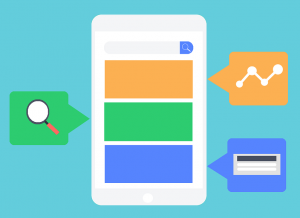 With past updates to Google’s algorithm, quality backlinks have become even more important. Keyword Research – Research the words or phrases that you want your practice website to rank for. The best place to start is “chiropractor [your jurisdiction]” instead of competing with websites like WebMD for broad terms like “headache relief”. Keyword Optimization – Know when and where to use keywords in your content for the best search-ability, while keeping the content readable and useful. Content Promotion – Increase visibility by sharing it on social media and building links to your content from quality websites. Consistent Updates – Update your website with blog posts regularly to continue to feed the Google machine. With the constant changes to the Google algorithm, monitoring Chiropractic SEO on your own can be overwhelming. But hiring an independent SEO company still requires coordination with your website designer. 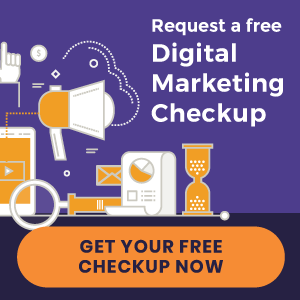 An all-in-one digital marketing company that focuses on chiropractic SEO and website design will make the process of navigating the ever-changing world of search engine rankings much smoother. When your chiropractic Google rankings landslide, investigate to see if it’s a normal fluctuation or if it’s a deeper issue that won’t resolve on its own. If you’re unsure exactly where to start, then sign up for a free digital marketing evaluation with one of our experts.